This text is the full transcript of the interview that accompanies the radio program "Let Us Tell You What We Chatted with Yu Suzuki-san About". Thanks to Joe-san and Takeuchi-san’s support, and everyone else’s help with the recording and editing. Finally we thank WeGame for their full support and making this G-Fusion meet with Yu Suzuki possible! Q: You were born into a family that revolved around the music profession, so why did you choose not to work in music, but instead the gaming industry? YS: You’re right, my parents both worked in the music industry. They produced traditional music, and my father wanted me to carry on the work; but children are always a bit rebellious, and although I did dabble with music, I went instead towards the rock music route. Anyway, my view is that most children don’t develop in the way their parents would have wanted. Q: When you were at Okayama University, you had already done research into 3D animation. What in particular did you research? YS: 3D architecture drawings: building up from wireframe into surfaces that are correct from different perspectives. Personal computers at the time were quite primitive, so we used the mainframe computer at the university to run simulations as well. Q: You entered Sega in 1983, and by 1984 you were already supervising your first project, the SG-1000 title Champion Boxing. It must be quite rare for someone to be able to take up such responsibility after just one year? YS: At the time the term “supervisor” didn’t exist in Sega, I was just a project leader. Normally it would take 7-8 years’ experience to be one, and even then only people from the planning department would become a project leader. I don’t know what my boss was thinking, but anyway I became one in my second year! I was given the SG-1000 project, as arcade game projects are more complex and involve people from hardware, marketing departments and so on, whereas a home console project was relatively simple. At the time there were just 3 of us, so the management of it was quite easy, with a new female colleague doing the graphics, and a new male colleague in charge of the programming. 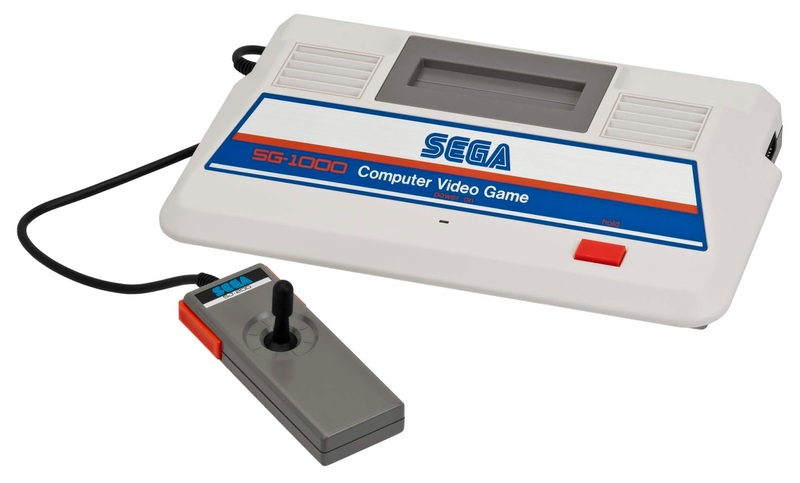 The SG-1000 was Sega's first home console, released in 1983. Q: Some people said that the arcade version of Champion Boxing was literally a SG-1000 console packaged into an arcade cabinet, was that the case? YS: That is correct. We put the SG-1000 into the cabinet, and soldered the joystick button wires into the controller ports. At the time arcade games performed significantly better than home consoles, but the SG-1000 performed surprisingly well for this game. 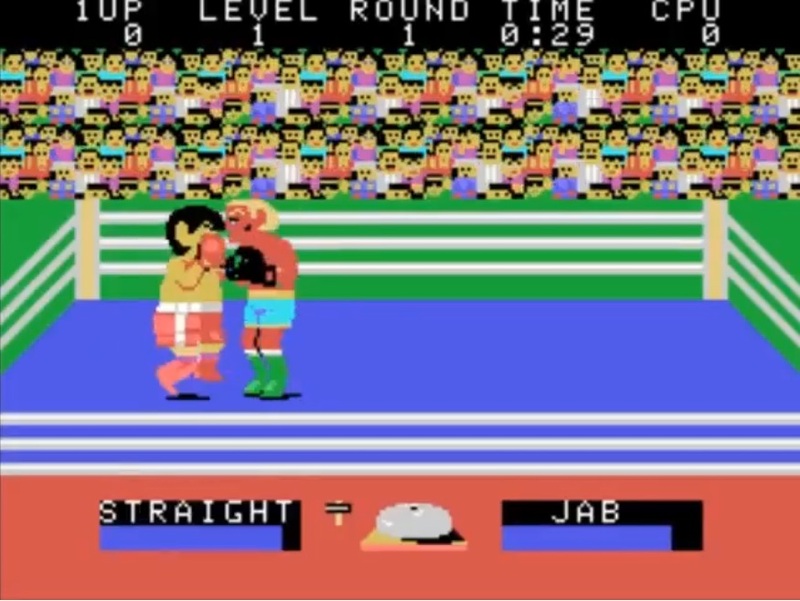 Champion Boxing (1984) in the arcades was also running on an SG-1000. Q: Were there any other games that were ported in the same way? YS: No, just Champion Boxing. 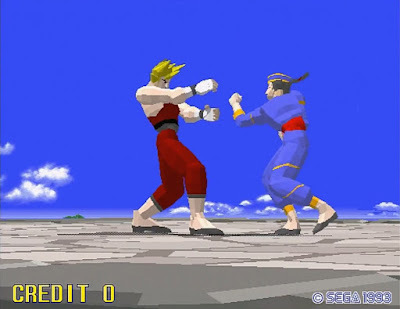 Q: As it’s in the same genre as your first game, did Virtua Fighter have any influence from Champion Boxing? Q: Hang On was the world’s first full-body video game; what inspired you to create such a game? YS: This idea actually came from outside the company, which was to use a torsion rod to simulate the bike. I was in charge of the software, and I worked with the hardware team to begin on the project. However the end result didn’t allow very good bike control, so we had to change the hardware to use a spring instead. I used to ride dirt bikes, and originally I wanted the game to be a dirt bike game, but after market research we decided to change it to a road bike game. We modeled the bike and rider after the famous GP-500 star Freddie Spencer. 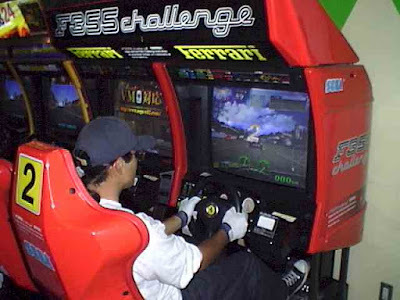 We also had many ideas such as adding speakers to imitate the engine sound and fans to blow air faster as the speed increased, however due to cost reasons we decided not to include them, and the finished product was as you could see in the arcades. Q: Apparently road bikes at the time could not drift well, so why did you make the bike in the game able to drift? 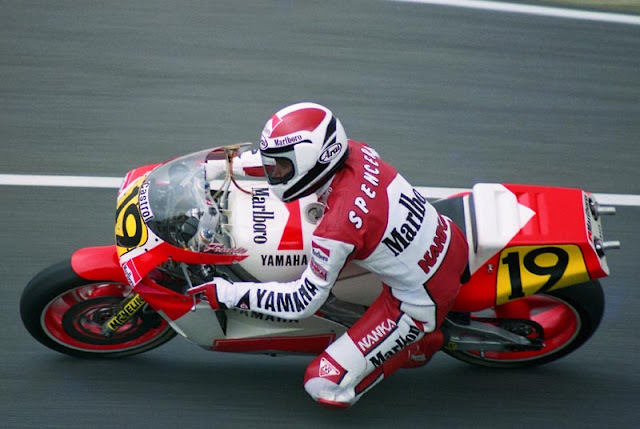 YS: Freddie Spencer could do it, as well as a few other riders. Spencer used his knee to corner, and nowadays all the riders can do it. I enjoy riding in the mud, and thought drifting was fun, so decided to include it in the game. 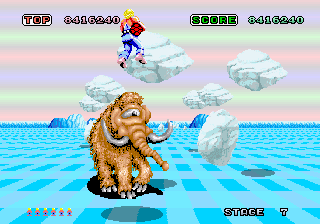 Q: After Hang On came the famous Space Harrier, but initially you wanted the player to control a jump jet? YS: At the start the project team was completely different. Our people saw an interesting cabinet design at the US show CES, and thought it should work quite well for an arcade game. So we were thinking what would be suitable, and initially it was to be this “Harrier” jump jet game. I wasn’t in charge initially, but the brief was a game that used a jump jet to attack ground-based enemies. Then the project was given to me. At the time games were all 2D, and a jump jet needs a lot of animation effort (e.g. 64 different motions just to translate across the screen), which we didn’t have enough memory to do properly. If we had to do it the jet would have been as big as a thumb, then it’s no different to Xevious [a 1982 vertically-scrolling shooter], which was unacceptable. We then got thinking, what is simple to animate and not look wrong? 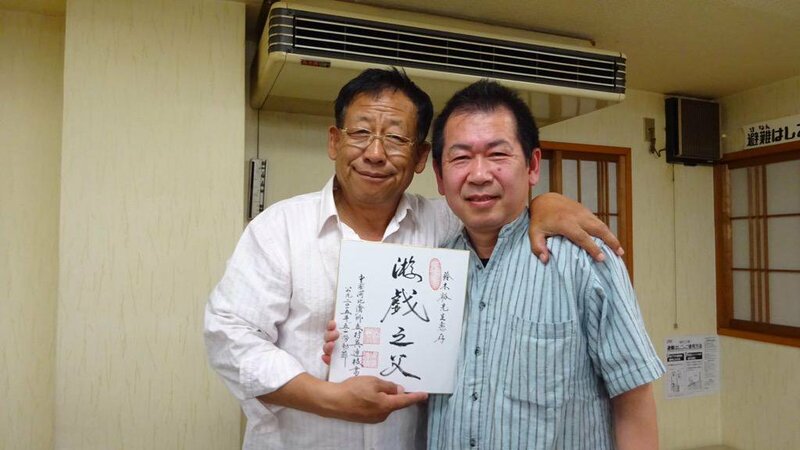 “A human must be possible”, but if we have a flying person the theme becomes science fiction. We’re sorry for the original planners, but we redid the whole game, and the only thing left was the “Harrier” name, and finally the game became Space Harrier. Q: Did the arcade cabinet stay with initial design? YS: Actually the cabinet was not difficult to design, and it took us just two weeks to integrate the hardware with the software. Because we had to prioritize the safety of the machine, the cabinet didn’t move too much, so it wasn’t too complicated to complete. 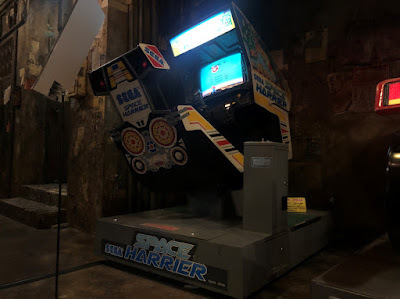 Q: There are still working Space Harrier motion cabinets in Japan, and the gaming experience is still impressive by today’s standards. YS: Yes, I think that of my older games, Space Harrier is one of those that have aged quite well. 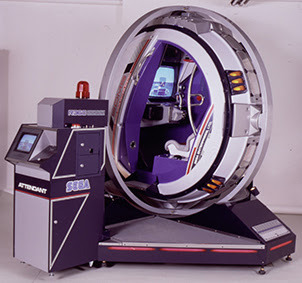 Q: Although you couldn’t use a plane in Space Harrier, you managed to do it in After Burner. YS: There’s not much relation between the two games. The reason we made After Burner was because "Company N" had a flight simulation game and Sega did not, so the CEO told me to make one. We used a dual-axis motor to control the cabinet. A plane has 360 degrees’ freedom, but an arcade machine’s motion was limited, and yet the hardware team really wanted to make a 360-degree cabinet. One day my colleagues from the hardware side asked me to go to the balcony, and said, “Don’t go to lunch yet!” I went upstairs, and then saw a chair tied among a mass of cables. They strapped me in and pushed me, and I was spinning round and round on the fifth floor balcony [laughs]. So yeah, we did many experiments, and found out that we have to center the rotation around a person’s stomach, otherwise they’ll throw up. The development cost was quite high, and we had to conquer many issues. Everyone worked very hard on this. Q: Is it true that people were not allowed to test R-360 by themselves? YS: Yes, even then there were programmers that got stuck upside down testing their code. There was one time where people thought it was so funny that they didn’t help him down immediately, instead they told everyone in the office to see the poor guy! There's another interesting story. Military aircraft simulators cost around 3 billion yen ($300 million USD) at the time, so there was this Middle Eastern weapons dealer who came to me and asked whether we could modify the R-360 cabinet to be a simulator. Even if we sold one for 100 million yen, that’s still 30 times cheaper than what they could buy elsewhere. Unfortunately we couldn’t do it as we only make machines for civilian use. Yet another funny story was when Hang On was being developed, an insurance company wanted us to put an ad for them in the game, which popped up when the rider flipped the bike. I remember we did put that into some of the cabinets. All in all we overcame many technical issues, such as lots of data and power transmission, like in large theme park rides, but for an arcade the limitations in electrical voltages, noise, floor space and costs were much tighter. By completing R-360 we finally managed to achieve the original goals, so were a bit lost afterwards as to what to do. I guess the next step was to improve the graphics and move into 3D. The R-360 cabinet: "We found out that we have to center the rotation around a person’s stomach, otherwise they’ll throw up"
Q: Ah but before going into 3D, we must talk to you about Out Run. The stories of you going abroad to study culture have been very widely talked about. At restaurants we couldn’t read the menus, so there was one time when we ordered a few random dishes, and the waiter asked if we were sure, and we replied “yes, yes”, only to be given 4 bowls of soup. We also went to the wishing well that was in the film Roman Holiday (Trevi Fountain), and it must have been quite funny to see two blokes throwing coins into it! Anyway there were many stories like these. Q: Another legend had it that you were speeding in Germany, is that true? YS: Actually there were no speed restrictions in Germany (on certain Autobahn roads), but yes we did drive very fast there. I remembered hiring a BMW 5-series, and got to around 200km/h. Then a sports car sailed past me, and we realized it was a granny driving! 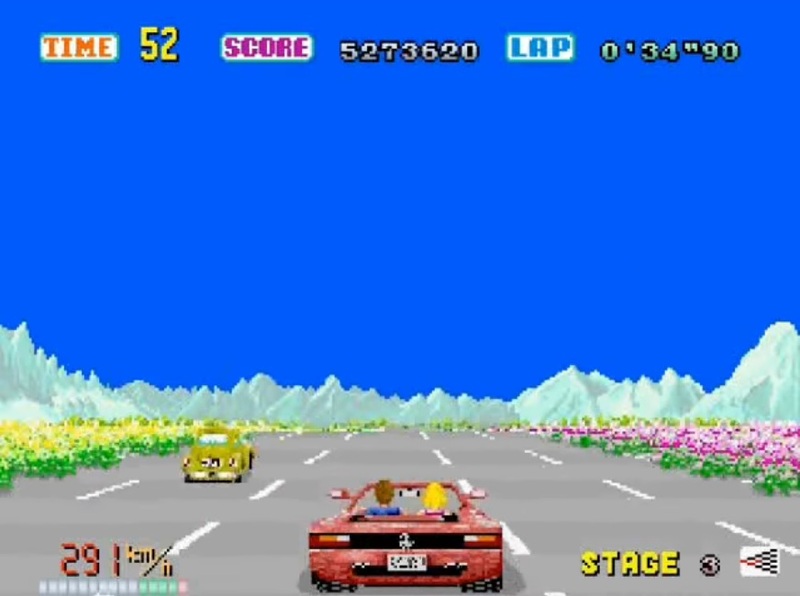 Q: Although Out Run is a 2D game, when put against some 3D racing games the graphics still look pretty impressive. YS: That’s because we started concept design of the graphics for Out Run in 3D, before converting them to 2D, and the designs were all based on real photos we took during the study tour. Out Run: "The designs were all based on real photos we took during the study tour." Q: Why did you decide on a game where you “joyride” rather than “race” others? YS: That's because I feel that rather than racing closely with a rival, it’s more enjoyable to be racing miles ahead of anyone else, so that’s why Out Run was such a game. So for this “feel” we went for a handsome man driving a Ferrari, with one hand on the steering wheel and the other holding a blonde girl, while whizzing through all those picturesque landscapes. Q: So was the F355 Challenge game also made because of your love for Ferrari? YS: At the time I actually owned a F355 [laughs]. Because the initial idea for the game was mine alone, I wanted to create a very realistic racing game, and therefore used my F355 as the subject. Sega said that this game probably wouldn’t make much money, but I already had many other games that did [laughs]. In all the games I made, perhaps F355 Challenge was the only one that was made completely to my brief, and I do not view it as a game, but as a simulator. F355 Challenge used Yu Suzuki's own F355 as its subject. Q: There were rumors that Ferrari actually bought a F355 cabinet? YS: Indeed, and that one was a custom-made machine, with the cabinet and cockpit done by Ferrari using actual car components. 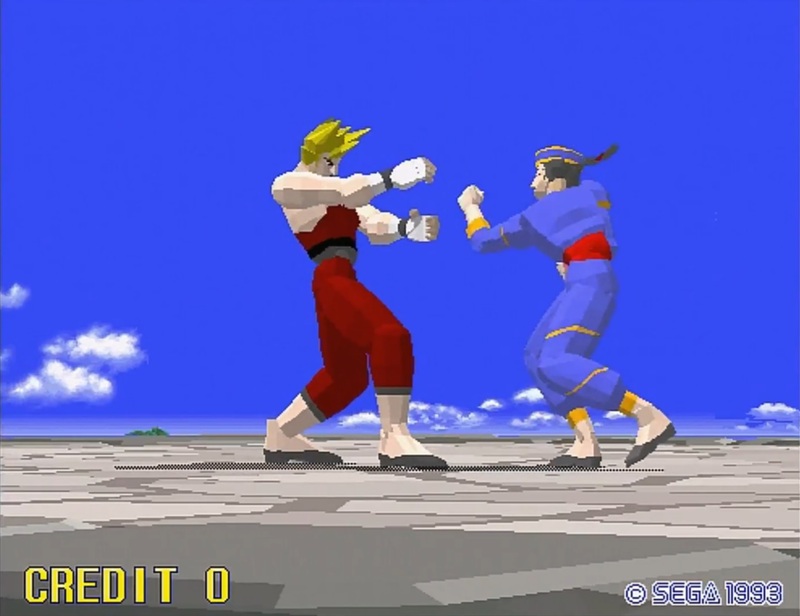 Q: During development of Virtua Fighter, did you make the team learn martial arts? YS: Yes that's correct. At the time there was no motion-capturing technology, so we had to create the character animations from scratch. Actually the animator role did not exist in the industry before this game, and both the programmers and the game artists thought the other team should do the work. Finally we decided to create a new team to do the animations, but initially the characters moved like something out of Doraemon, because nobody had done martial arts before, and didn’t know how to “fight”, so of course it was impossible. Therefore we cleared an office for the staff to learn martial arts, which in the end allowed the team to create more realistic animations. 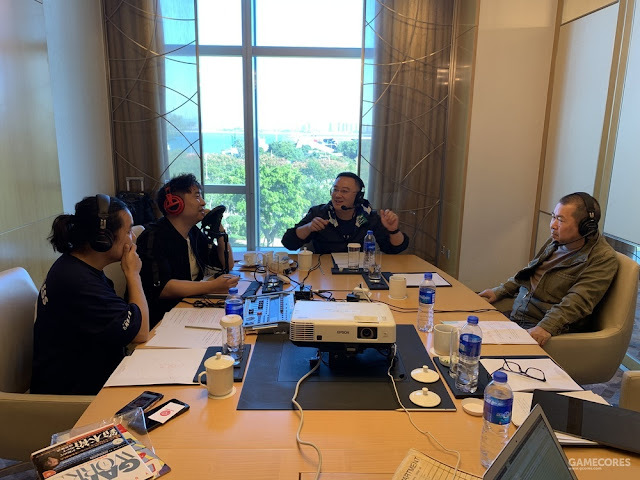 Virtua Fighter (1993): "We cleared an office for the staff to learn martial arts"
Q: Chinese fans really relish the stories of you coming to China in 1994 for cultural study. Did you have very specific aims for the trip, such as studying anything in particular? YS: In actual fact we were travelling to study in preparation for Virtua Fighter 3, and I personally wanted to learn more about how different martial arts styles countered attacks from the opponent, because we wanted to incorporate a countering system in the game. At the start we went to many martial arts schools, and visited many masters. When I asked questions about counter attacks, the more moderate masters said just attack them, so that they could show me. It turned out that everyone simply evaded my attacks, before I realized that it was because I didn’t use enough force. The masters told me to attack them in earnest, in order to better show off the techniques. So I did that, and they used their styles to defeat me in all sorts of manners. At the time the pupils thought I was a Japanese challenger trying to bring down their schools, so they cheered every time I was knocked down [laughs]. Q: Do you still remember your first meeting with Master Wu Lianzhi, what was your first impression? YS: Hmm… the first impression was he was like a farmer [laughs]. In the sense that he was very close to nature, it’s difficult to describe. He didn’t seem like the sort of grand master in a dojo that you would imagine. I then noticed that his hands were very soft, but had a lot of force behind them. Q: During the G-Fusion interview you also said that you still keep in touch with Master Wu, and sometimes have drinks together? YS: Yes, every time he comes to Japan we would meet up for drinks if time permitted. After all I’m the only person he could have a drink with in Japan [laughs]. He kept saying it wasn’t fun because Japanese people only drink beer! 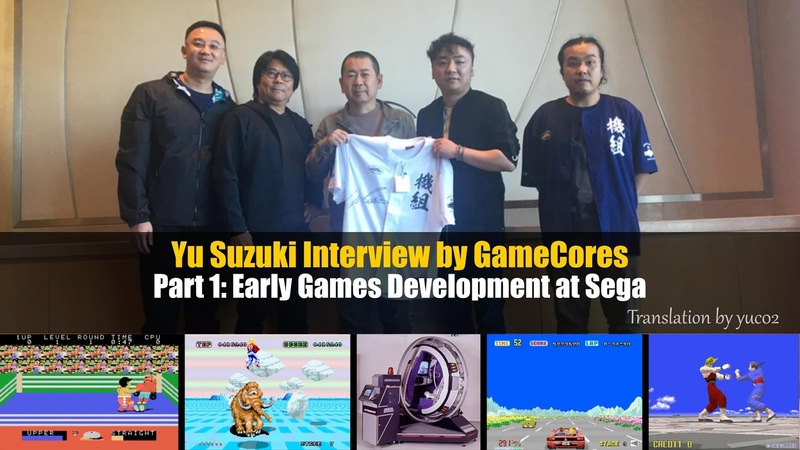 The interview continues in Part 2 with Shenmue III related topics - coming soon. Thanks again to yuc02 for the superb translation.